Let’s get geek-ish ! OK, what (typically) happens after a significant market correction (i.e. selling climax)? Wyckoff would expect an Automatic Rally upwards (ar) followed by a retreat lower; we got that. This back and forth action will frustrate and flush out the sellers. The price area I’m talking about is roughly 4810 at the high side and 4565 on the low. I’m expecting a re-test of the 4565 area right now. What will be interesting is the bar spread and volume in this base building area. If prices drop and volume picks up, then we know that the sellers have not been flushed out and likely the market will go up, then back down until they are. What is interesting is the low volume late last week. Yes I know that the Chinese had a holiday and we were headed into our Labor Day, so maybe it means little. However the market opening Friday did gap lower and finished weak on low volume. We’ll be on the look out for selling possible beginning to “dry up”, but this process could take awhile. 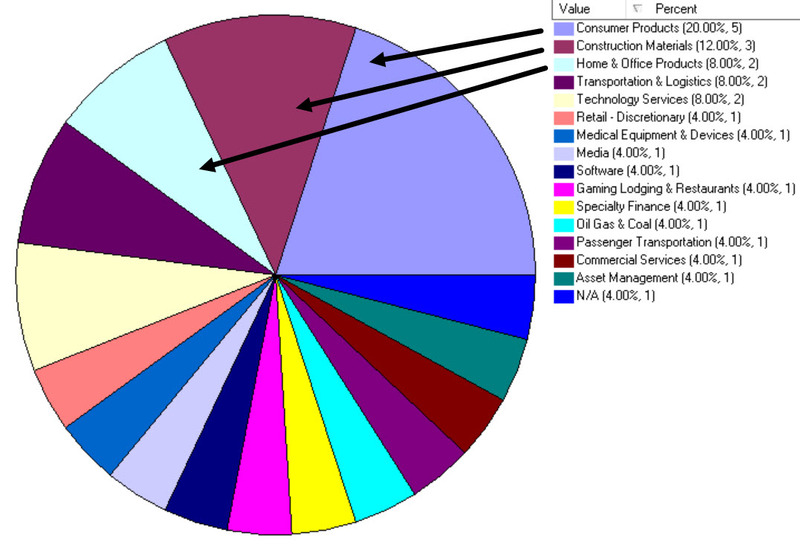 What sectors are strongest (or less weak)? Click on the graphic to enlarge it. You can follow the list along counter clock wise. Not very many stocks in any one sector, and notice that the previous lead sectors are rather sparse here. Interesting, looks like rotation. Next we look at the stocks in the S&P 1500 Index and their “Price Strength” comparison. Not much green, still looking pretty weak in here. Lastly, there is a new monthly newsletter under that tab (above) if you’d like a broader view. Have a good week ! 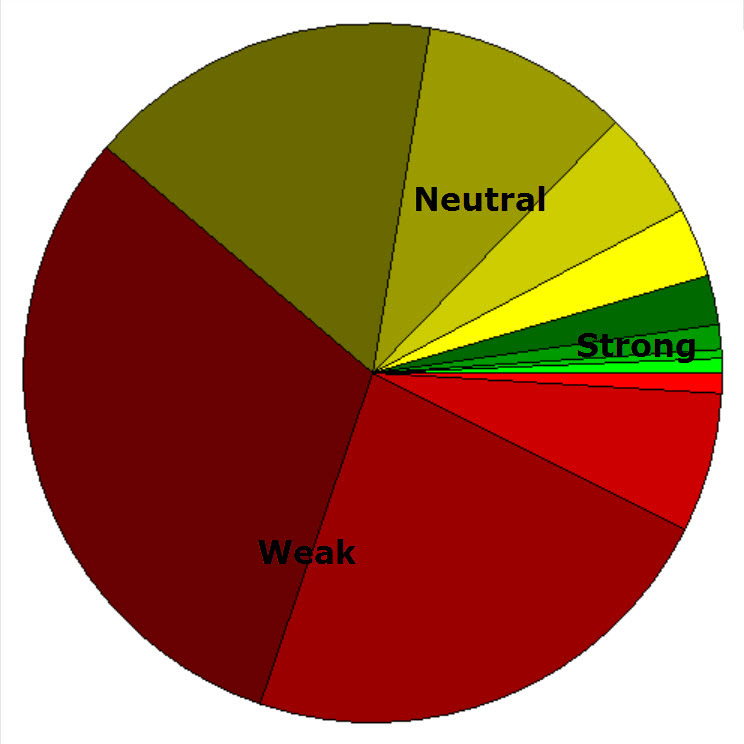 ………….. Tom ……………..
price chart by MetaStock; pie charts by http://www.HighGrowthInvestor.com. Used with permission.